Power comes to those who can be relied upon to be consistently responsible and compassionate. 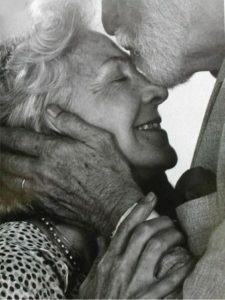 Developing daily habits that demonstrate these two traits are a sure path to have a relationship to grow old within. Be the change you want to see. In small conflicts, go ahead and own what you did that hurt the other. State a corrective action you’ll take. Make amends. Maybe you don’t even try to make your case for why you did what you did. These are some of the small daily changes you can make that will predict a loving future with your partner. One way you have power is to say what you want immediately after expressing your feelings about an incident. If you’d like an apology ask for it. 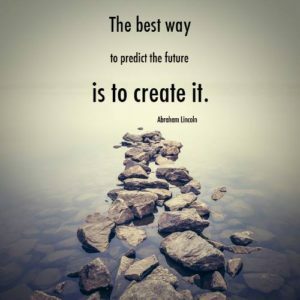 If you want future actions from your partner…. ask for it. If you want an appreciation of what your experience is ask for acknowledgement of what your experience was… or is. Not agreement… acknowledgment! Power is using your first words to admit to what you said or did; to acknowledge your partner’s thoughts and feelings; and to make amends, which include ‘what I’ll do in the future about this.’ Then, you can pivot to saying what you want from your partner. Habits can be tricky, since we learn them early in life. We watched our family, our culture and learn from our partners how to handle conflict. The worst habit which destroys many relationships and marriages is to become defensive whenever there is a problem. Or, whenever people point out how you may have hurt or offended them. This habit will have you explaining, interrupting and most destructively, NOT LISTENING at just the time, that 10 seconds of listening would perhaps solve the problem. At least the 10 seconds of listening would not make it worse. Defending, explaining and seeking to become understood before seeking to understand your partner will most definitely make it worse. How do you NOT defend yourself? Especially, when you know that it’s just a misunderstanding. You know, when you think that it’s more efficient to interrupt your partner to inform him, or her, of your insight and explanation. Ask yourself how that interrupting habit is working for you. Training and pre-planning your first words will help you have the best responses to your partner; when your lizard brain is telling you otherwise. My blog on ‘First Words’ last month shows you the format for hitting just the right notes in less than 10 seconds to put your partner’s mind to ease that you’ve heard their concern and are connecting to the solution. It’s all about ‘Sweeping My Side Of The Street First’ , which is from my July blog. Try just a couple of the complimentary tools available on my blog and see if you might begin to feel more powerful and more compassionate and more responsible!